After seeing J. Warner Wallace giving a talk to students, I became a fan. We own Cold-Case Christianity in three formats now -- paperback book, Kindle e-book, and Audible audiobook. I recently reviewed Cold-Case Christianity for Kids (both my 11- and 13-year-olds own a copy), and recently gave a copy of that to a family friend. Cold-Case Christianity (both versions) explores why we can believe in Jesus. We own God's Crime Scene, but I'll admit that I haven't yet read that title. This one is about how we can know that God exists. These two books cover the basics of most apologetics texts. 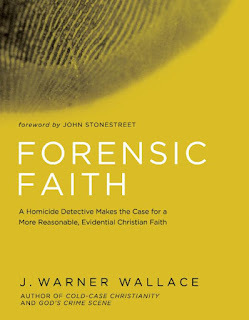 Forensic Faith goes another step beyond making a case for God and for Christ. 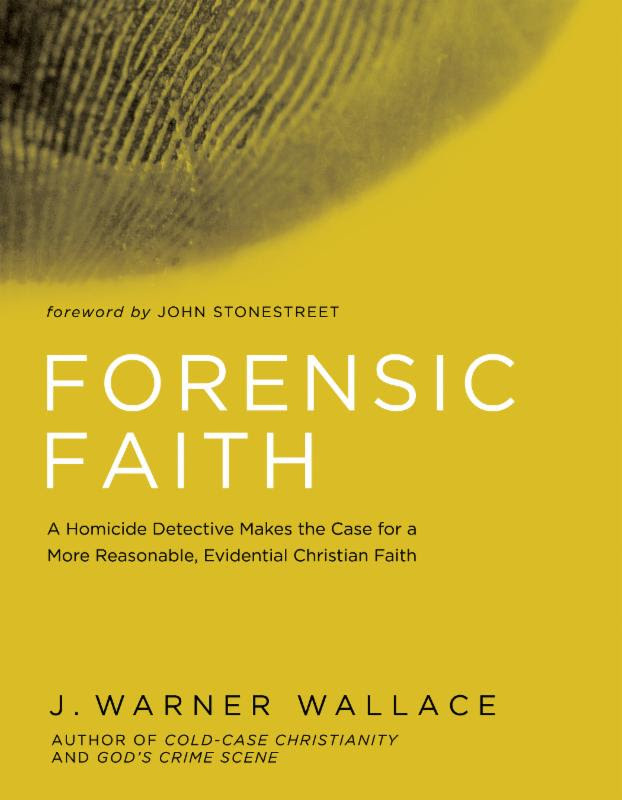 Forensic Faith makes the case for why you (yes, you!) need to be able to articulate the case for Christianity. This book reads just like Cold-Case Christianity in its style. Easy-to-read and easy-to-understand, with lots of examples from Warner's work as a Cold Case Detective. Like the last J. Warner Wallace review, I ended up purchasing another copy. My college kid was given one of mine, and I still have a copy for myself. My bottom line on Cold-Case Christianity for Kids was that if you are a parent of a kid ages 8-15 or so, you need to buy that book and work through it with them. And if you have teens, you need to buy them Cold-Case Christianity. If you have young teens, get them both. I'll add to that advice now. If you have teens, you also need to buy Forensic Faith. And may as well get God's Crime Scene for them while you are at it. Buy a set for yourself too.